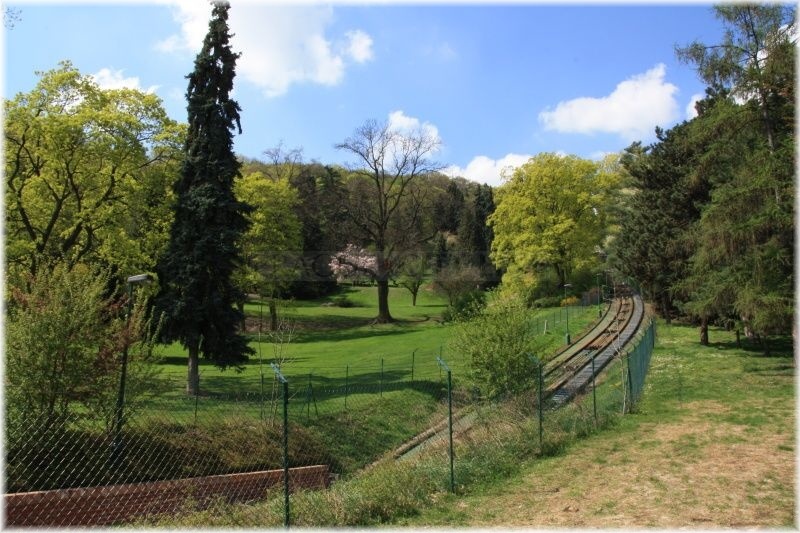 The next garden of Petřín and one of the funicular stops are called alike – Nebozízek. 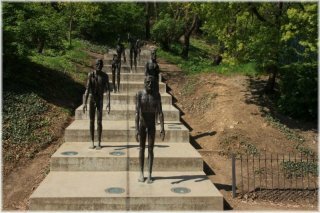 It is a garden stretching between the Hunger Wall, the funicular and Újezd. 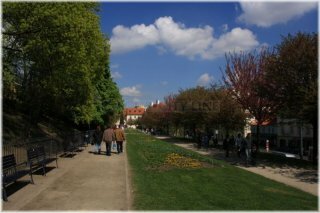 It is a place for pleasant walks and with a beautiful view of Prague. The garden covers the area of ca. 8 hectars and is situated 320 meters above the sea level. There are many serpentine paths in it which open a unique view of the city. 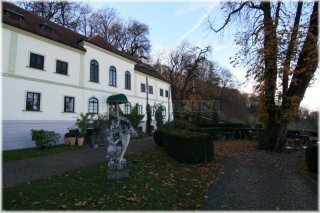 The vistors can refresh themselves in arestaurant also called Nebozízek situated in the top part of the park. 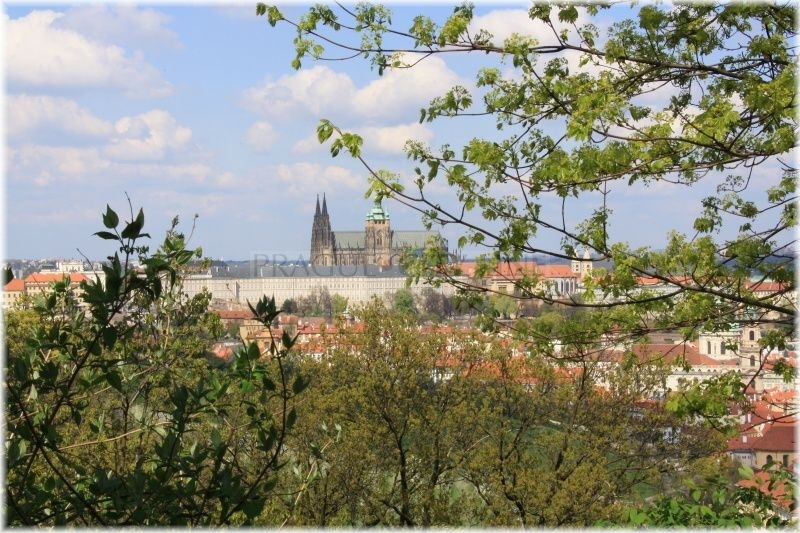 A famous Prague excursion restaurant which takes pride in excellent cuisine and celebrities who had visited it. The history of this building dates back to 1677 when the neighbouring villages were purchased by the royal chamberlain Karel Maxmilián Lažanský who built a two-winged summer palace here. In 1809 the summer palace was purchased by anTown printer Bohumil Haas and turned into an excursion restaurant providing not just excellent cooking, accomodation but mainly the magic atmosphere with wonderful view of the city. There used to be extensive vineyards back in the 14th century where we are standing today. The name of the garden and the funicular station was derived just from these vineyards which used to be called Nebozez. At the end of the 16th century the vineyards were replaced by an orchard. The orchard owners changed very frequently and in 1920s the orchard was bought back by the Prague Community. Then the orchard underwent a great reconstruction under the lead of architect Jiří Braul. So in 1842 the garden was opened to the public. However, a really significant reconstruction was carried out between 1891-1895. The transformation was big – the former orchard turned into a city park. The reconstruction was performed under the lead of František Thomayer parallelly with the construction of the Petřín funicular. In 1897 a building of Sokol was built in the lower part of the garden. 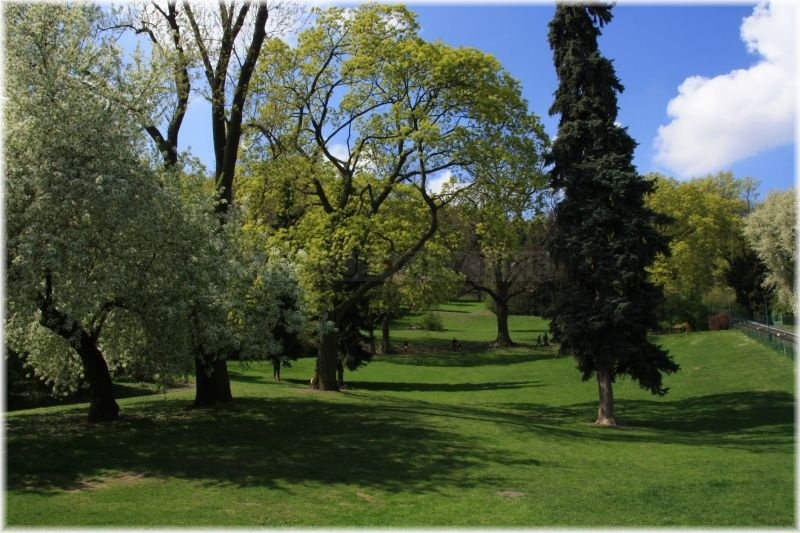 In 1930 the park was enlarged by the neighbouring Jiřinkový (Dahlia) Park. Currently there are many ways how to enter the Nebozízek Garden. You can follow the street from Újezd. 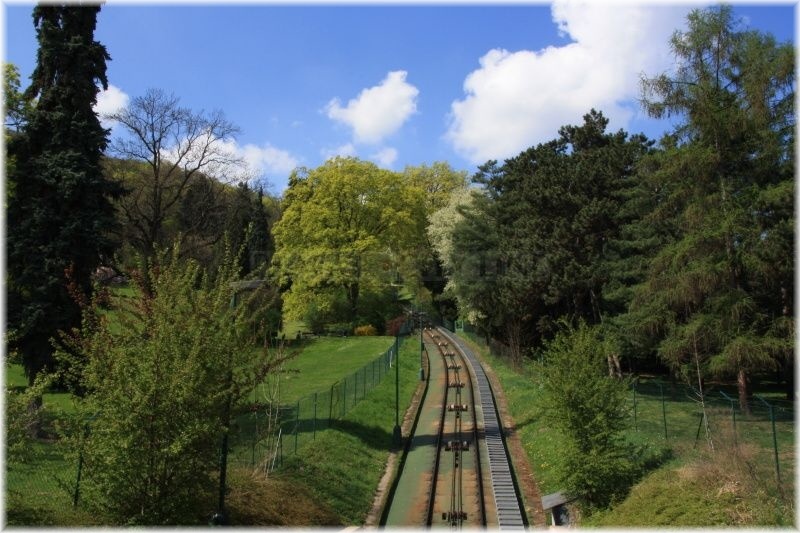 Another way leads directly from the neighbouring Seminary Garden through the passages underneath the funicular rails. Or you can use the paths from the Kinský Garden, from where you can get through several passages in the Hunger Wall. Because the main part of the garden is located on a rather steep slope the walk is getting more difficult.. There are numerous paths in the garden lined by several statues. The most familiar and popular of them is the monument of the Czech poet Karel Hynek Mácha by Josef Václav Myslbek. If you continue uphill you will also pass the statue of the composer Vítězslav Novák and also the monument toVojta Náprstek. 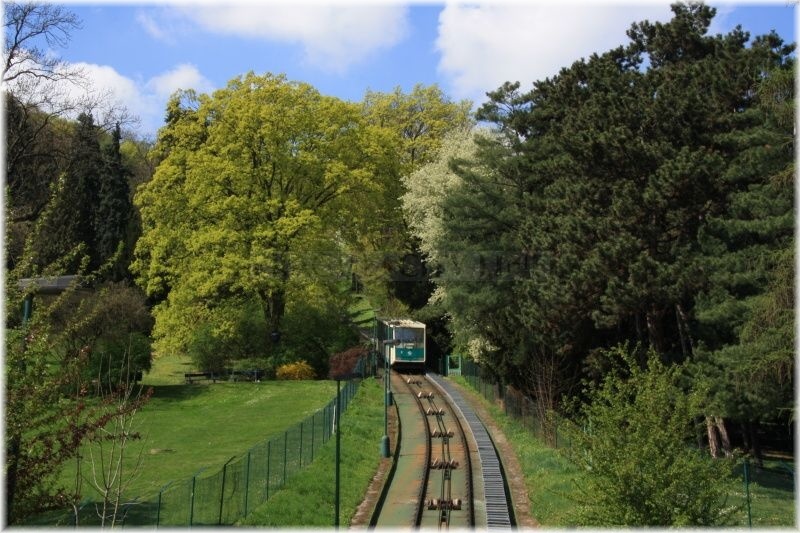 If the way uphill is too demanding for you simply use the funicular from the Nebozízek station and get to the top of Petřín this way.